Eighteen-time major winner Jack Nicklaus hailed Tiger Woods’ “fantastic” Masters victory after watching him complete a remarkable comeback story with a fifth success at Augusta. Who will Harry and Meghan choose as godparents? Loyal friends of the Duke and Duchess of Sussex look set to be asked to be godparents to the couple’s first baby. 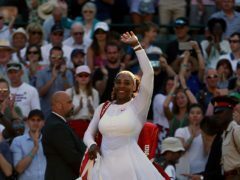 A cartoon of Serena Williams published in the aftermath of her US Open final defeat to Naomi Osaka was not racist, a watchdog has found. 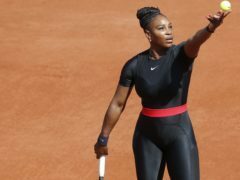 A cartoon of Serena Williams which drew criticism from across the globe after it was published in an Australian newspaper did not breach media standards, it has been ruled. Serena Williams and Barbra Streisand are among the stars who will present the nominees for best picture at the Oscars. Serena Williams refused to blame a jarred ankle after suffering a remarkable Australian Open collapse in the quarter-finals against Karolina Pliskova. Karolina Pliskova saved four match points in a remarkable comeback to beat Serena Williams 6-4 4-6 7-5 and reach her first Australian Open semi-final. 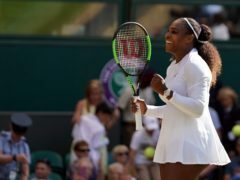 Serena Williams won a tremendous battle against world number one Simona Halep to reach the quarter-finals of the Australian Open but believes she will need to find a new level if she is to win a 24th grand slam singles title. 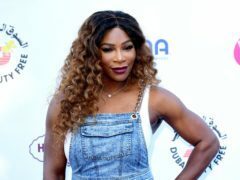 Serena Williams covers her bare chest with her hands and sings a cover of The Divinyls’ hit I Touch Myself in a new video to promote breast cancer awareness. Serena Williams shared an emotional message to her daughter on Instagram. 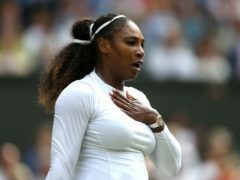 Serena Williams has revealed she felt like she was “not a good mom” and was “in a funk” before pulling out of the Rogers Cup. Drake was part of a star-studded Centre Court crowd as Serena Williams made it through to the Wimbledon semi-finals. Snapchat has launched a new Bitmoji Lens to celebrate Wimbledon that enables users to game a virtual game of tennis with Serena Williams. 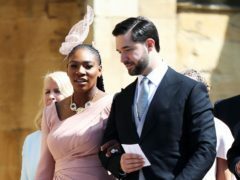 Serena Williams has revealed she wore trainers underneath her dress for Prince Harry and Meghan’s wedding reception. Serena Williams documented her preparation for the royal wedding while paying tribute to her friend Meghan.